When Pliny complained of rabbits destroying the Balearic Island environment, he was even then not alone. The ancient Romans probably spread many more of their favourite foods around Europe, Asia and Africa. Wine, for a start! An IAS is an Invasive Alien Species, whether human-directed or not, whether plant or animal, or the disease/parasites they carry. The earth suffers from them in every locality, but those Mediterranean islands were a precursor to the severe problems we have suffered in Australia, New Zealand and even in the Americas where native Americans were decimated by disease as well as the sword. The European Environment Agency, based in Copenhagen, issue technical reports frequently. This February edition contains natural bombshells, especially if you are not completely up to date on any of 10,000 aliens from Japanese knotweed to the red swamp crayfish or the common slider (that's your ex-pet terrapin, gone rampant!) The report is entitled, "The impacts of invasive alien species in Europe." With climate change affecting most of Europe with warmer temperatures, all of these highly adaptive forms are also expected to be much quicker than native species at spreading ever-more successfully, both upward and northward. This succeeds in eliminating several of their alpine or arctic competitors on the way. 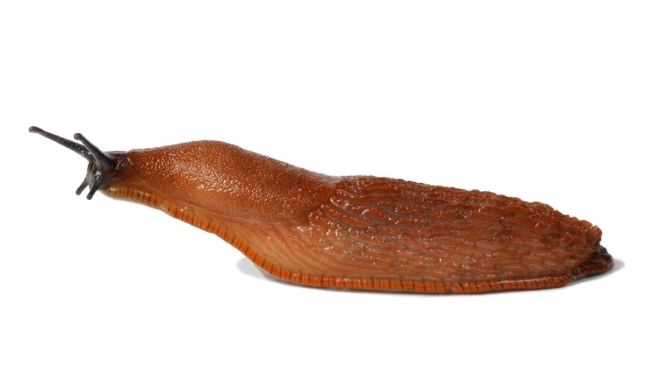 The suspicions of the report's project team and their contributors along with the instigator of the project, Ahmet Uludag, are that organisms such as the Spanish slug have an impact at global and regional level to which we are slow to react. The slug may be quicker! While the brown bear and several other mammals were introduced to Corsica in the Middle Ages and lasted a few centuries, many organisms look likely to surpass a millennium or two. Some adapt peacefully with so little disturbance that we can't notice heir effect, but many of the 10,000 mentioned in this report wreak havoc with at least one species. This is not the organism they may have been used to eradicate. The affected habitats, species and whole ecosystems are still beyond our reckoning! At least we now think we know many of the methods by which aliens can affect native species and thereby native habitats. We certainly underestimated invasive alien species. DASIE is the name given to the European IAS Gateway, which brands species by analysing data and allocating around 12% of the 10,000 as having negative impact. We all know some of the worst offenders, but what about the rest? They have been able to have many far-reaching effects including functioning as vectors for new diseases, altering ecosystem processes, reducing biodiversity, changing landscapes, and reducing the value of land and to humans. The report lists effects as being on ecosystem services. The ecosystem services are within provisioning, regulating, habitat-supporting and cultural services. The provisioning consists of water food, genetic resources, wood fibre and medicine. When we talk about regulation, we mean climate stabilisation, control of flooding, water purification, waste management, controlling pests and pollination. In support of the habitat, species can from soil or cycle nutrients, provide habitat for migratory species or maintain gene pools. The "cultural" aspects belong exclusively to human cultures. Now for the benefits. Agriculture, forestry, fisheries medicine and various more aesthetic pursuits cover all the major angles of IAS advantage, often for profit. Certainly the whole gardening aesthetic has always relied on some exotic or ornamental plants to make the area outstanding. Gardeners now insist on providing native species to help invertebrate survival and bird life in particular, but reality would demand an almost complete native set of habitats. What these people who profit have forgotten is the long-term effects of alien residents. In the short term, profit, brief beauty and order are provided. Long-term, biodiversity under the spread of a foreign tree is so very limited. Some may argue about values, but timber, game and ornament were the first thought of human selectors in the past. We can nowadays add prey for native species, cover of a special kind and naturally, the removal of some competitors and predators. For example, the red swamp crayfish has been overshadowed by the effect of the American signal crayfish. This IAS has beneficial effects on local aquaculture enterprise, but carries a plague that causes extinction of native crayfish. It's not difficult to assess why different viewpoints still exist, despite the far-reaching possibilities of this crayfish's introduction. What must be identified are 14 potential impacts of IAS, in biodiversity, ecosystem "services", human health and economic areas. The biodiversity impacts can involve more than one IAS at once, which more than doubles the effect. Hybridisation might be expected to be one of the major problems affecting biodiversity. Ducks, the infamous knotweeds and wildcat/feral cat are just three groups that have interbred when gene pools need to be retained in an original condition. As far as entire ecosystems, at least two continents now have lowered water quality levels in lakes after the Asian zebra mussel displaced native molluscs and virtually created its own ecosystem. The algae, Caulerpa taxifolia and C. racemosa are also able to replace seagrass communities and affect many species of fish and invertebrate larvae and others which are naturally protected by the native seagrass.